Just in case you haven't notice, I used to not having the AdSense Ads displayed here in Bloggers Tech blog - which I've turned on now. I actually read these tip on the forum and some e-books I got from internet marketers I'm following, I don't remember which one actually so I don't know who I could give credit to. But anyway, let me share this with everyone since making money with our blog is one of the things that motivates us to continue blogging. If website owners and bloggers really want to profit from their websites, the best method to do this is through AdSense. You'll find them striving hard to earn some good money every day coming from their sites. However a few of the “geniuses” of them are taking pleasure in hundreds of dollars a day from AdSense Ads on their websites. The thing that makes these webmasters unique from the others is simply because they think out of the box. People who have been there and done it have very some tips that will help those who would like to venture into this area. A few of these tips have enhanced lots of earnings in the past and is continually doing so. 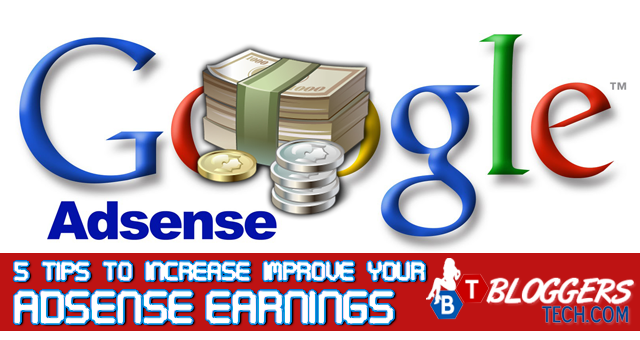 Here are the 5 ways on how to best to supercharge your AdSense earnings. Focusing on One Format of AdSense Ads. Normally the one format that proved helpful for the majority is the Large Rectangle (336x280). This same format has the tendency to give you higher CTR, or the click-through rates. Why pick out this format out of the numerous you could use? Simply because the ads will appear as if normal web links, and people, getting used to clicking on them, click these sorts of links. They can or may well not be aware of they are clicking on your AdSense but provided that there are clicks, therefore it all will be for your benefit. Make a Customized Palette for your Ads. Pick a color that'll match the background of your site. But if the site has a white background and then use white as the color of your ad border and background. The whole thought of this is that to pattern the colors is to make your AdSense appear like it is part of the web pages. Yet again, this could give you a lot more clicks from people visiting your site. Take out the ads from the bottom part pages of your site and put them on top. Don't try to hide your ads . Place them in the place just where people can see them immediately. You're going to be surprised how the distinction between ads areas could make once you see your earnings. Keep links to Related Websites. If you believe a number of sites are more well off than the others, place your ads there and continue to continue to keep and managing them. If there are already a lot of ads placed in that particular site, place yours above these. This way visitor will notice your ads first upon exploring into that site. Try to automate the placement of your AdSense code into your webpages using SSI (or server side included). You can ask your web administrator if your server works with SSI or not. How can you do this? Simply save your AdSense code in a text file, save it as “AdSense text” and then add it to the root directory of the web server. After that using SSI, call the code on different pages. This particular tip is a way to save time specifically for those people who are utilizing automatic page generators to make pages on their website. These are typically a few tips which may have worked well for several who want to get hundreds and also thousands on their websites. It is very important to be familiar with that though ads are shown given it fits the interest of the people viewing them. So concentrating on a particular content really should be your main purpose because the displays is going to be specifically targeted on a topic that persons will be viewing already. Please note also that there are plenty of other AdSense sharing exactly the same topic as you. It is advisable to think about creating a good ad that can be relatively distinct and distinctive than the ones currently done. Each click through that visitors make is a point for you so try to make each and every click count through making your AdSense something which people will surely click on. Tips provided by the ones who have improved their earnings are simply suggestions they would like to present to others. If they've someway worked like a charm for some, it's possible it can work like a charm for you too. Give them a try into your ads and pay attention to the end result it will eventually bring. If other people did it, there's nothing wrong trying it out by yourself.